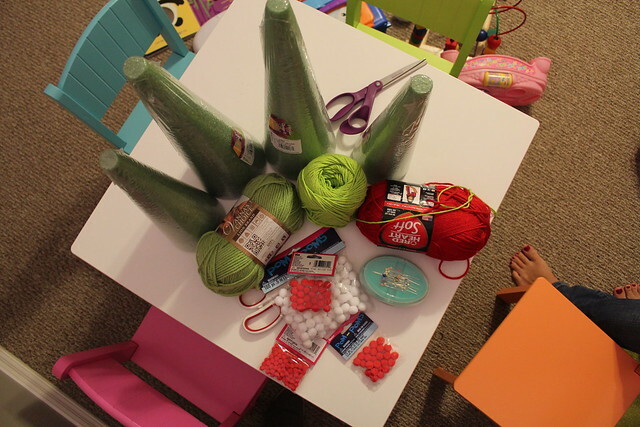 Welcome back to week three of A Pinterest Christmas! Pinterest inspired (Pinspired) holiday decorations, treats, and keepsakes. 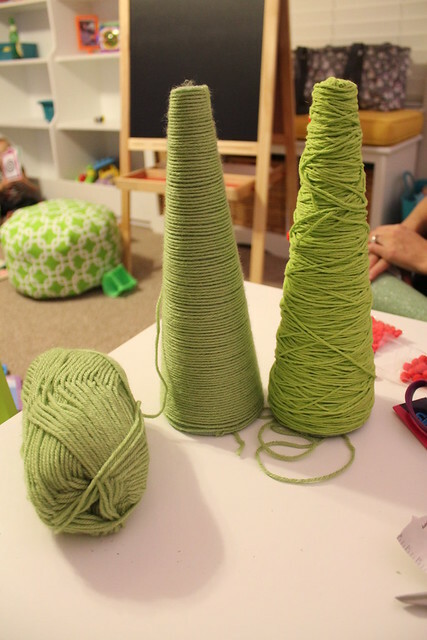 Start the yarn at the bottom of your tree and have your pins handy. 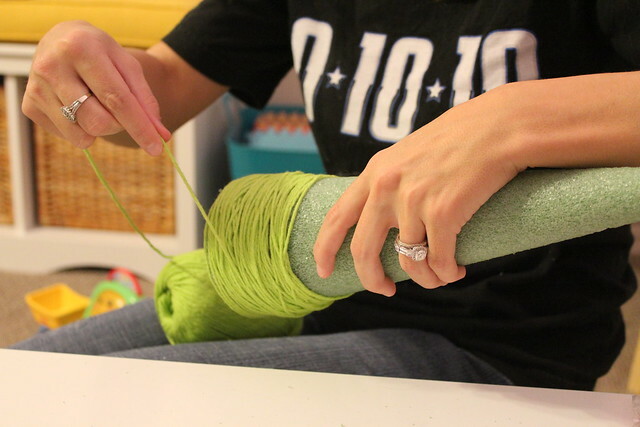 Once you start wrapping around the bottom, pin the yarn every 2-3 inches to keep it in place. I do not have a picture of this… fail. because the yarn should stay in place. Wrap the yarn around, and around, and around. You can choose to do these trees really any way you’d like. Michelle went for a more whimsical look, while I did a more sleek look. My way was a wee bit more time consuming. The top of the tree is a bit tricky, and this is where the pins come in handy again. 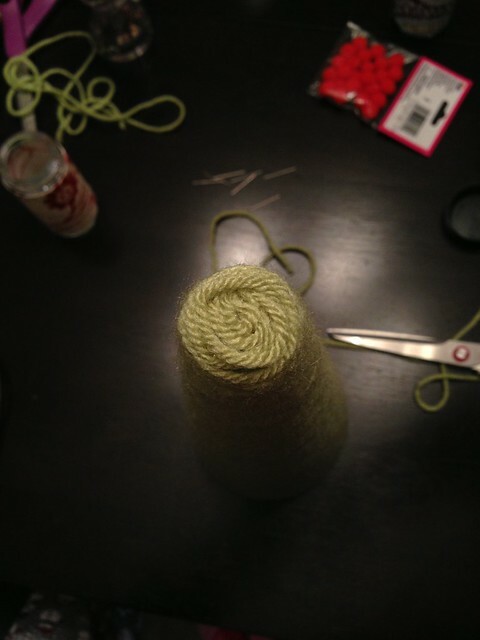 Wrap the yarn in a circular motion around the top and pin as needed. 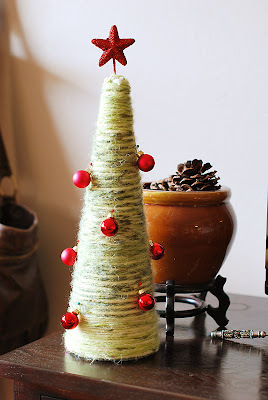 Use just enough yarn to cover the top of your tree. Cut your yarn and pin down the tail end. but we decided to stop at the top and move on to the tree decor. 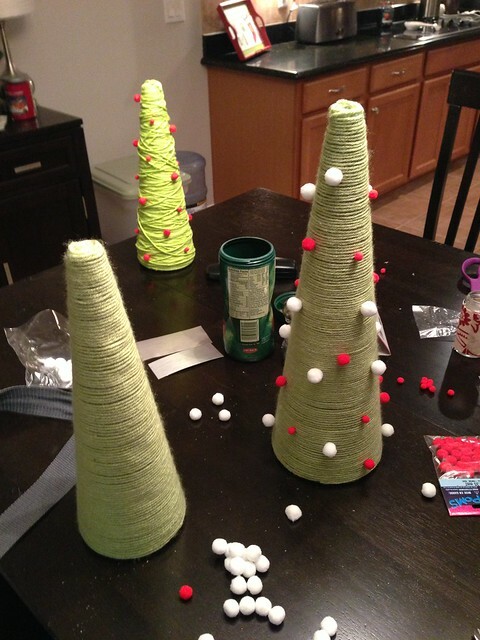 We used the hot glue gun to attach our little poms to the trees. I really love Michelle’s red & white tree and I have a feeling I may be making more of these. They are super easy and really fun to do. Even though it took us two separate days to complete them, I promise, they can be quick. 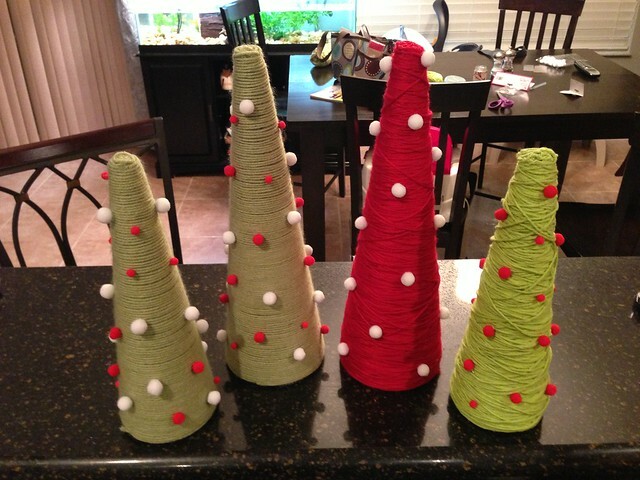 Have you made any yarn trees? What did you do differently? 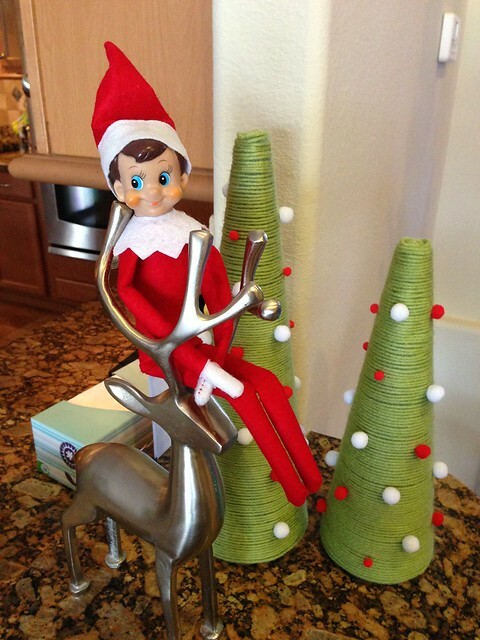 If you’ve missed the last two weeks, check out my wreath and ornaments.